An award-winning pie maker is looking to create up to 100 more jobs with its expansion plans. Dunkleys in Wellingborough already employs about 350 people from the area, but it wants to extend its headquarters in Davy Close on the Park Farm industrial estate which would result in 100 more jobs being created. 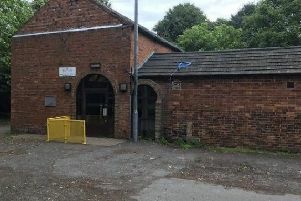 The firm, which has won 17 awards this year including the title of England’s Best Steak Pie in April for its beef and Merlot pie, has applied to Wellingborough Council to extend the existing cold storage accommodation on the ground floor and first floor to create a larger, more efficient storage space. The plans to expand the existing facilities, which are likely to cost about £2m, also include a new reception area. Simon Dunkley is the third generation of his family to run the business, which makes pies and desserts for restaurant and pub chains including Wetherspoons. The managing director said: “We are growing all the time. Dunkleys’ range of pies and puddings includes steak pies, chicken, fish and lamb pies, lasagne, tarts, fruit pies and crumbles, sponges and brownies.